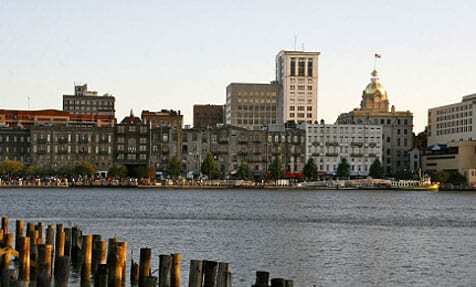 Sapelo Insurance is more than another insurance company in Savannah. We live and work in this community, and are dedicated to its success. We are a division of The Sullivan Group HR, which has served Savannah for over twenty five years, with Sapelo Insurance opening in 2004. "Sapelo Insurance is dedicated to providing superior service and exceptional value in quality insurance and benefits products to our clients through an educated and highly trained staff of professionals"
We have been the best choice for serving the insurance needs of Savannah residents and businesses year after year. Our never-ending commitment to providing our customers with quality service and the best insurance solutions to fit their needs has made us a trusted member of the community throughout all of Chatham County and Georgia. By putting people before profits, you can be sure that when you go to Sapelo, you will receive nothing but the best guidance and products in a manner that will save you time, money, and unneeded stress. We offer only the best insurance solutions for homeowners, individuals, businesses, and families. Furthermore we assist those in need of guidance on the issues of health insurance and life insurance.